Recently, I have come across a few interesting products that I just had to try. Superfruit juices are something that I knew nothing about, but as I began to read up on them I knew I had to try them out for myself. Superfruit juices can have many health benefits to them ranging from delivering antioxidants and anti inflammatory nutrients to the body to supporting healthy immune system function. It's a great way to make sure you reach your daily recommended serving of fruit - three to five servings. 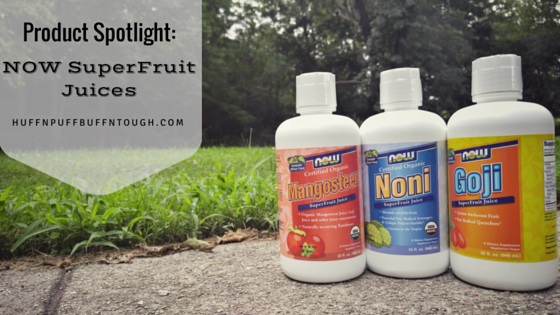 This month, I am giving the spotlight to the SuperFruit Juices from NOW Foods. NOW offers many different options for superfruit juices. 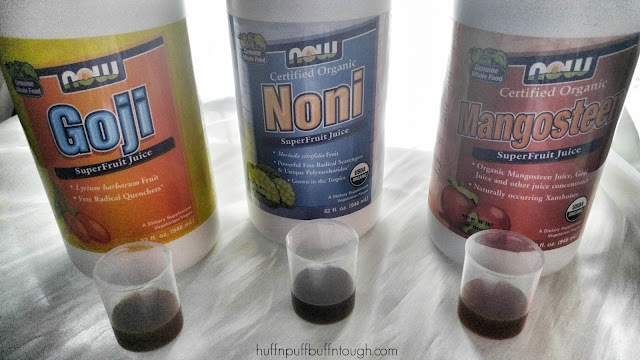 I decided to add the Noni, Goji, and Mangosteen to my diet for the month of July and boy was I pleasantly surprised! Something that can have so many health benefits and also taste great can be hard to find. Especially for someone and picky as I am. NOW Certified Organic Noni SuperFruit Juice has a slightly bitter taste to it. 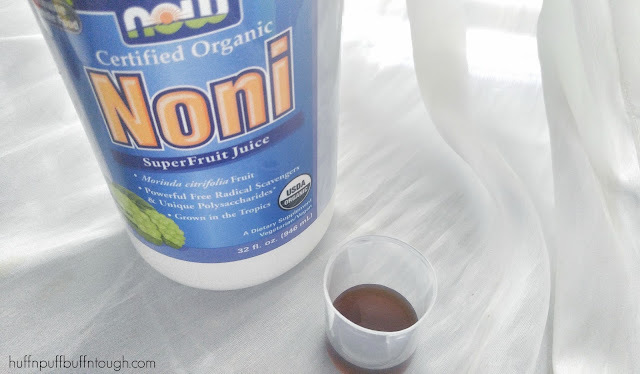 I have heard and read that the taste of some noni juices are very unpleasant, but worth it for the health benefits noni claims to have. In my opinion I think the taste is very tolerable for those benefits. 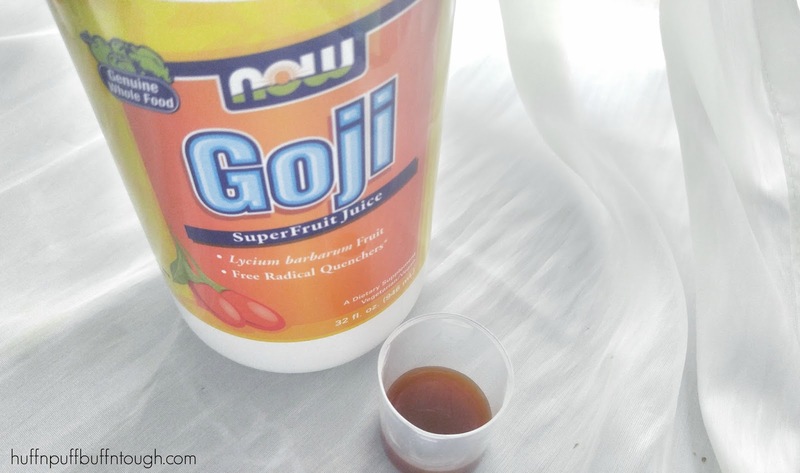 NOW Goji SuperFruit Juice has to be my favorite when it comes to taste. I could drink this all day, although it is NOT RECOMMENDED! :) That is how good it tastes. It's like taking a little fruity shot on an empty stomach first thing in the morning, but with possible health benefits! NOW Goji Juice delivers the natural nutrient profile found in Genuine Whole Foods. 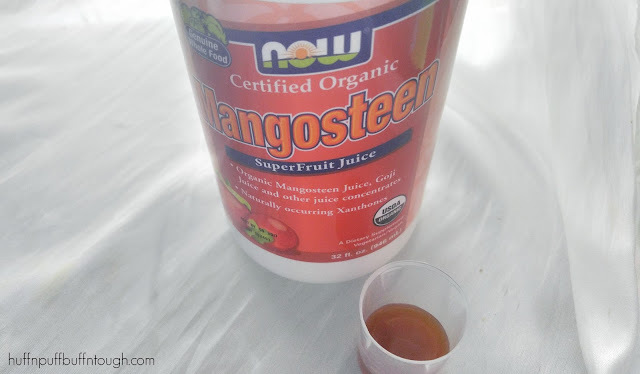 NOW Mangosteen SuperFruit Juice has an interesting taste, but definitely not my favorite. The taste is very tolerable for the benefits that it offers. Have you tried superfruit juices? What are your favs? I So Need To Start Drinking These They Sound Yummy & I Really Need To Start Taking Care Of Myself Thank You! Sounds yummy, I am going to have to look into getting these. Thanks! Honestly I have never even heard of any of these! We try and eat as healthy and we can but these are new to us. They sound delicious. I was not familiar with these before, they seem like a great boost for your body. Thanks for letting me know about them! I totally got the Bubble Guppies reference! Life with a toddler! That's probably also why I haven't taken great care of myself recently. These juices sound like a great way to fix that. I haven't heard of NOW products before but I think it is such a great supplement! The flavors sound interesting! Would love to try!